What is “The Alehouse – Palmhof”? “The Alehouse – Palmhof” is Zurich’s first true Alehouse. We are always offering 20+ craft beers from Swiss and international micro breweries. Every beer is hand-selected for the Alehouse by the Beers’n’More beerscouts. Our craft beers range from hoppy IPA’s to barrel aged Imperial Stouts and complex Lambics. Our culinary offering pairs perfectly with our beers and includes seasonal, local products. It all started in 2014, when out of despair with the difficulty of finding awesome craft beer in Zurich we decided to open Beers’n’More – Switzerland’s top-rated bottle shop. Since then we have been fortunate to be able to travel widely, scouring Europe (and the world) in the search of the most innovative, interesting and tasty craft beers. 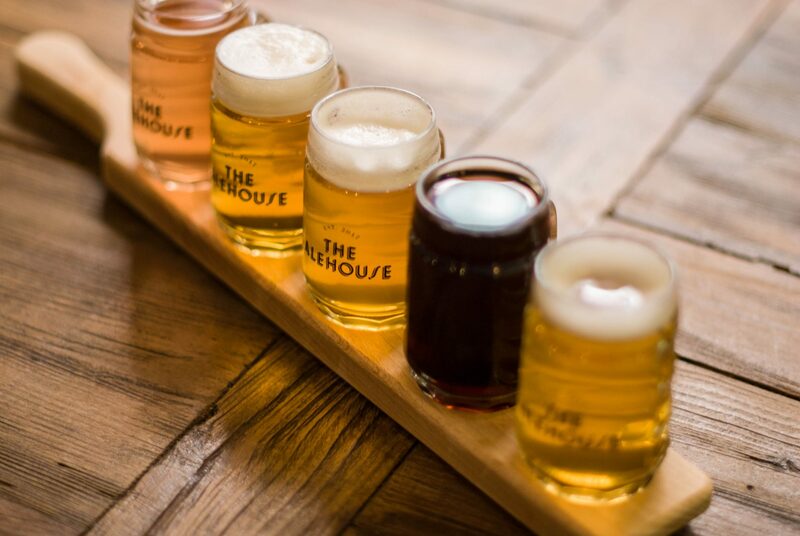 The Alehouse – Palmhof is an opportunity for us to make it possible to get some great craft beers and great food at the same place. Desta’s Coffee is made out of premium single origin arabica beans that are used exclusively. They are being cultivated around 1’900 meters above sea level in a totally natural environment in the rainforests of southwestern Ethiopia. Through gentle roasting in a traditional Swiss roasting manufactory the unique flavours and aromas of Ethiopian coffee are emphasized perfectly.